If there’s one thing we love, it’s treating our dogs. Christmas is a wonderful time to indulge with friends and family and to spoil the ones you love, including your pets! We have brought together some of our dog-loving friends and asked them to share their favourite paw-friendly products to help you shop for your pets (and yourself) this holiday season. 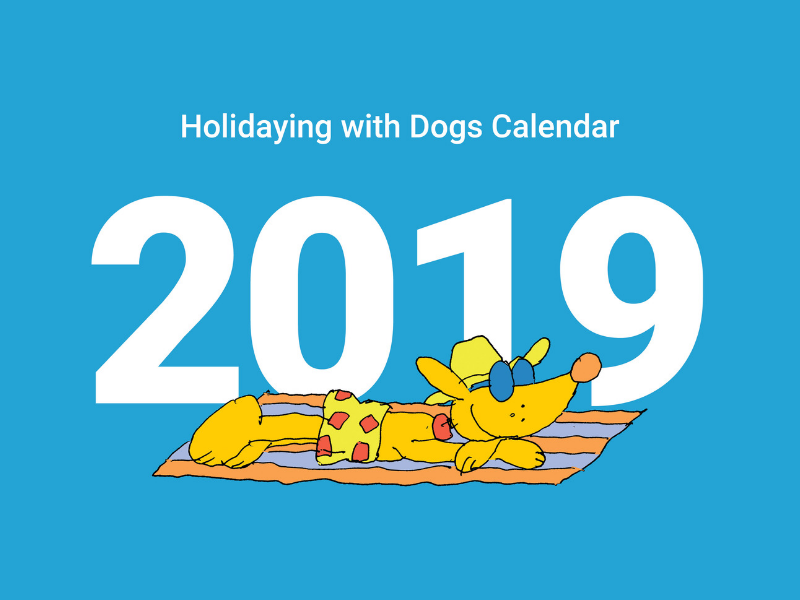 What better way to kick off your Christmas shopping; The Holidaying with Dogs 2019 calendar is the gift that keeps on giving – every month! 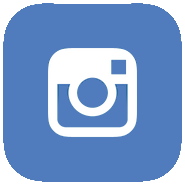 Featuring a selection of precious pups from the Holidaying with Dogs Facebook and Instagram communities and around Australia, each time you turn the page you’ll be greeted by a new furry face guaranteed to make you smile. The ‘pawfect’ gift for dog-loving friends, family and colleagues. PETstock’s range of pet presents are the perfect way to reward your furbaby this festive season and ensure they feel part of the family on Christmas Day. 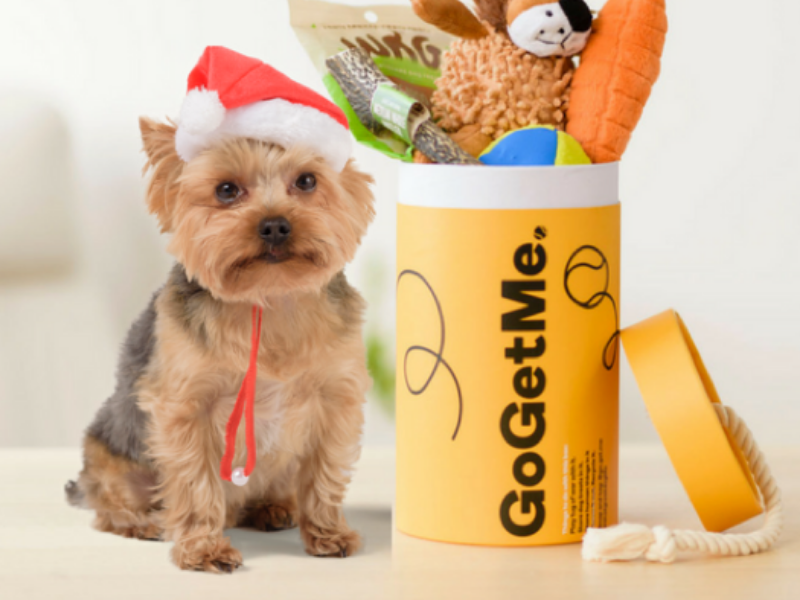 From snuggly Santa toys to stockings filled with treats, there’s something for every pampered pooch (and puss!). 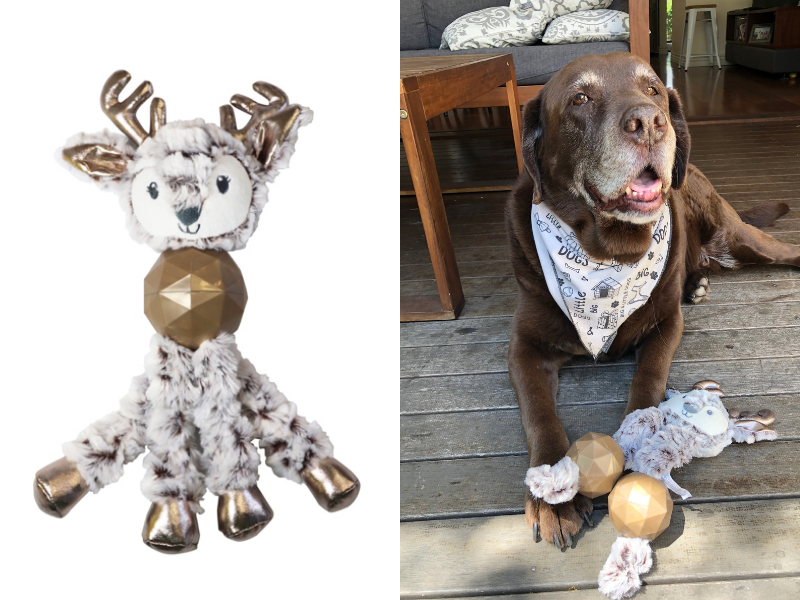 One product that really caught our eye (and hearts) is the very sweet Magical Spike Ball Deer from PETstock’s new Bark-a-Boo range. Our dog, Buster, absolutely loves his deer. These soft and squeaky Christmas toys come in a range of styles and feature different animals including bunnies, owls and even unicorns! Top tip: wrap these presents in festive wrap and squeak the toys inside to see your pooch tear into their present just like a kid! For the coolest in custom dog clothing look no further than Pethaus ‘Denim for Dogs’ – High quality gear for pooches who want to stand out from the pack. 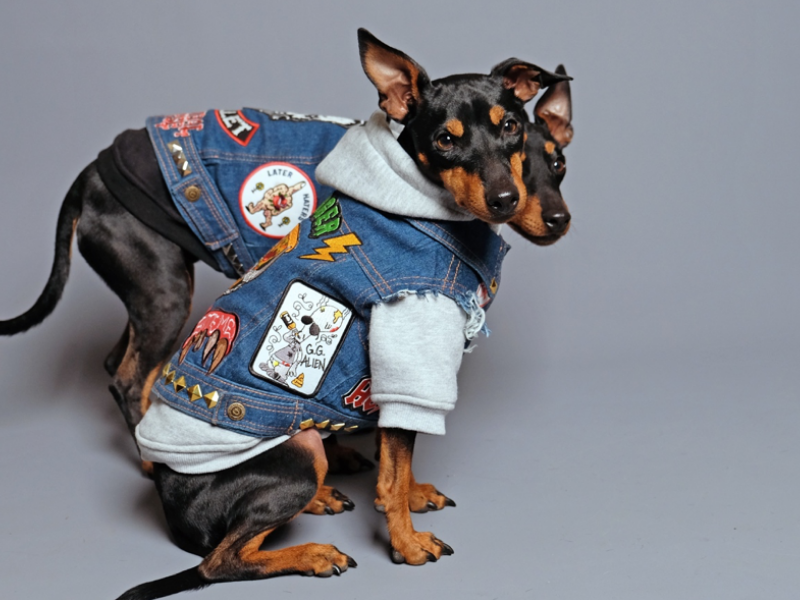 The Pethaus range includes denim vests and jackets, dog hoodies and tops, bandanas and accessories plus bad-to-the-bone iron on patches to display your pup’s unique personality and sense of style. A practical present for safety-conscious dog parents and those who love holidaying with their dogs. SLINGGUARD is a unique product that ensures a luxurious, comfortable and safe means of travel for your dog (large or small), while ensuring that your vehicle stays clean and protected. SLINGGUARD is made up of 3 layers: The top layer is a luxurious mink style fabric that repels hair and dirt, the middle layer adds comfort and keeps the seat protector stable to prevent slipping whilst the back side is made of 600 denier which is extremely strong and 100% waterproof. This product is reversible and can be used in the back seat of the car, hanging between the front and back headrests, or placed in the rear of an SUV or station wagon. It can also be used as a ground sheet blanket as it is totally waterproof and insulated. 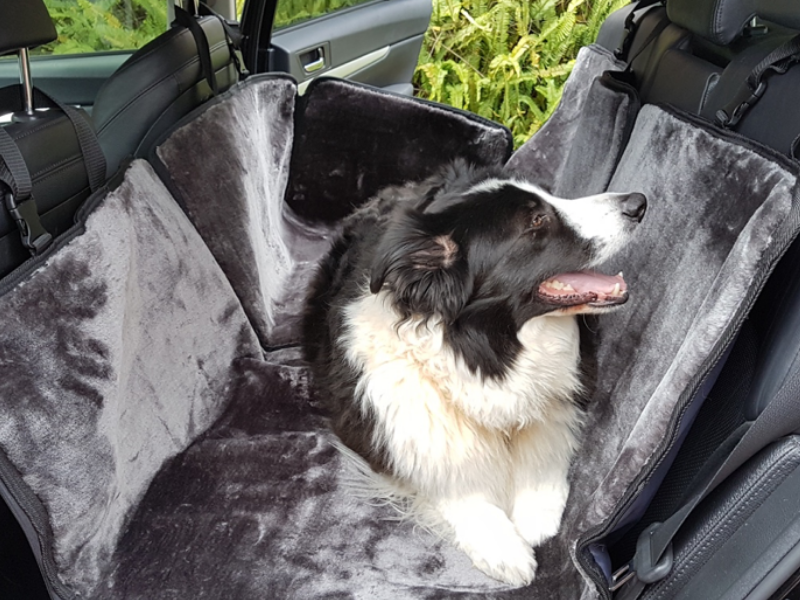 We love this product for travelling as it is machine washable and there is no need to take a dog bed with you – simply unclip the SLINGGUARD from your seats and take it inside. Perfect for holidaying with your dog! • and a whole lot of other Christmas goodies that your Pooch will love. Boxes are customised to your dog’s size so you can choose from small, medium and large options. The box itself has a rope handle so your pup can enjoy opening their own present. Christmas with a conscience. 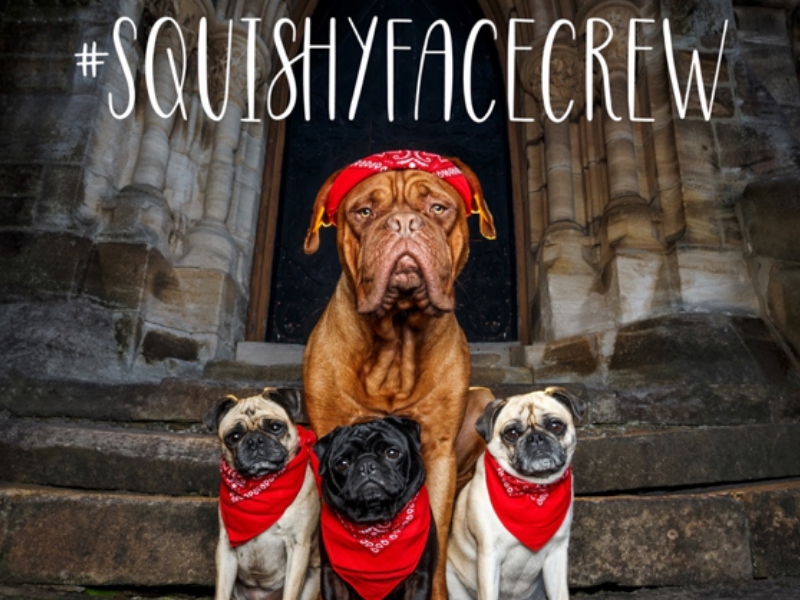 Following on from the success of 2016’s fundraiser book project – Tails of Sydney – Ruthless Photos is back with the #SquishyFaceCrew book, raising funds for two charities who rescue flat faced dogs. Some of Australia’s most famous Instagram dogs and owners of brachycephalic dogs with wrinkly, squishy faces; young and old; big and small; rescues, mixed breeds and purebreds; came together to support this project. This stunning 25cm square, 130 page, full colour, limited edition coffee table book makes a beautiful gift for dog lovers and helps raise funds and awareness for Mini’s Bulldog Rescue and Pug Patrol Rescue – rescuing Pugs and other ‘squishy faced’ breeds from abuse, neglect and exploitative breeding and providing veterinary care and rehabilitation for dogs before they find their fur-ever home. Radiate Christmas cheer with a little #bocolove. BOco’s range of signature leather dog leads are made from premium pebbled leather and are the perfect accessory for prestigious pooches. Available in a range of colours including radiant orchid (pictured here) and gold or silver hardware options. 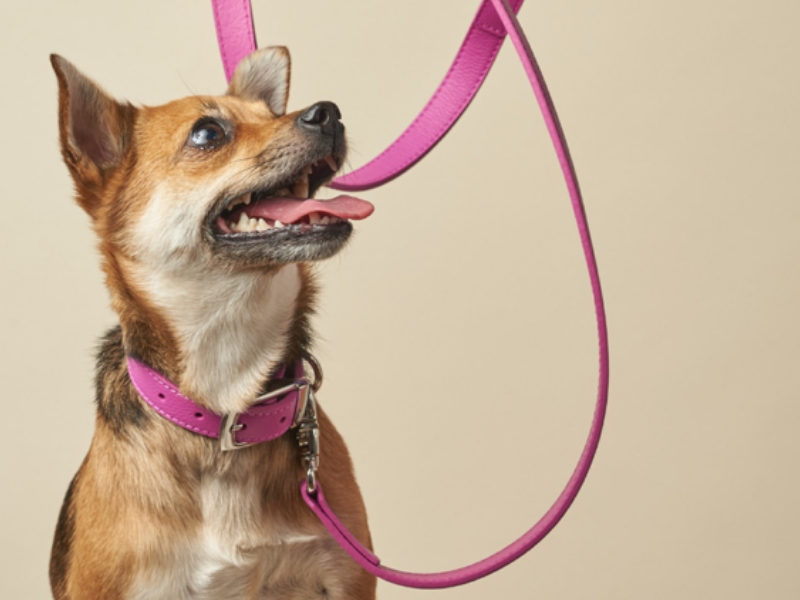 For an extra special touch, monogram your pet’s name on your new lead! Complete the look with a matching leather collar and your pup will be turning heads for all the right reasons at the dog park. We would love to hear your feedback, comment below about the Christmas List.